By Oliver Fleck, M.Sc.Reviewed by Susha Cheriyedath, M.Sc. Acute appendicitis is the inflammation of the appendix, a small organ attached to the large intestine, usually due to an infection, or an obstruction between the two organs. 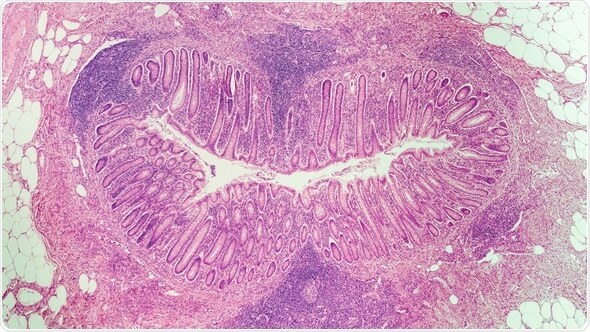 Stomach infections may affect the appendix, causing an immune response and inflammation. This may also occur when a hard piece of stool blocks the opening of the appendix, at which point bacteria may infect the appendix. When the appendix becomes inflamed, due to a build-up of pressure within the organ, it causes pain. This is usually the first sign of a problem. Patients with acute appendicitis will often notice pain in their abdomen, which localizes to the right lower quadrant (the location of the appendix) as the disease progresses. They will also experience nausea and vomiting, and may have an elevated temperature. In the US, a diagnosis of acute appendicitis is often confirmed with a computed tomography scan, which may reveal an inflamed appendix. A full blood count may also be carried out, as a small increase in white blood cell count can be associated with the disease. Acute appendicitis may have complications. Between 4 and 6% of patients will also suffer from gangrene, perforation, or intra-abdominal abscesses. Gangrene and perforation occur when appendicitis is left untreated. Abscesses usually result as a progression of perforation, and must be drained during treatment, using computed-tomography guided surgery and follow-up antibiotics. If acute appendicitis continues without treatment, it may burst. This can lead to further complications, such as infection in other organs from sepsis (e.g. peritonitis). This condition is extremely dangerous and may prove fatal. Therefore, with acute appendicitis, rapid diagnosis and treatment is essential. With a quick response, the prognosis is often good. The surgical procedure known as an appendectomy is still the most common treatment for appendicitis. Two variants exist; open and laparoscopic. Laparoscopic surgery, also known as ‘keyhole surgery’, is recommended for the majority of patients, as it decreases postoperative pain, shortens hospitalization periods, and results in a more rapid return to full functionality. Additionally, it reduces the risk of infection for patients, compared to open surgery, and has the additional advantage of better cosmetic results. However, open surgery is recommended for pregnant women, due to safety concerns with laparoscopic surgery. An emerging treatment method is the use of antibiotics in the treatment of uncomplicated acute appendicitis. Intravenous antibiotics are delivered for the first 72 hours, followed by a course of oral antibiotics for the next seven days. It is important to note that trials testing this mode of treatment have been undertaken only on patients not suffering from complications. Antibiotic therapy is not currently recommended for patients with acute appendicitis, but larger trials may change this view. After treatment, patients are usually kept under observation for a short while. Complications may extend this time, and patients are scheduled for a further check-up one week after surgery. Acute appendicitis affects around 0.1% of people. It is generally seen in patients 10-30 years old, and is more common in men and people with a family history of the disease. Cystic fibrosis also seems to be associated with development of appendicitis. There is an increased risk of appendicitis associated with smoking, or second-hand smoking, in both adults and children. 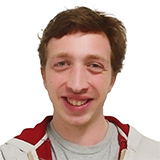 Oliver graduated from Imperial College London, after doing a research-based Masters in Bioengineering. He is currently a Ph.D student at Cambridge University, where his research involves lots of fiddly work with cells. His spare time is spent climbing, cycling, riding motorbikes, and making games using 3D printing and laser cutting.